We appreciate the feedback on our recently published article  in the International Journal of Urology and Nephrology concerning our use of pericatheter retrograde urethrogram (pcRUG) for postoperative urethroplasty imaging. We published this work so that others may build on it and improve patient care. The authors comment that pcRUG is not a novel technique. We agree that pcRUG itself is an established investigation and have referred to multiple studies previously describing their own techniques. Our technique is novel in its use of an angiocatheter as was described in our discussion. We believe the angiocatheter may be advantageous due to its smaller diameter when compared to 5–8 Fr feeding tubes and a metal introducer that have been previously described (1.1 mm vs. 1.67–2.67 mm), and as such felt it was worth sharing. The authors bring up the disadvantage of radiation exposure to the operator’s hands, which is a valid critique. We are very conscious of radiation used and strictly limit fluoroscopy time during pcRUG. While the hand is visible in the figure in our article, we typically keep the hand out of the frame of radiation unless it is a very distal stricture. 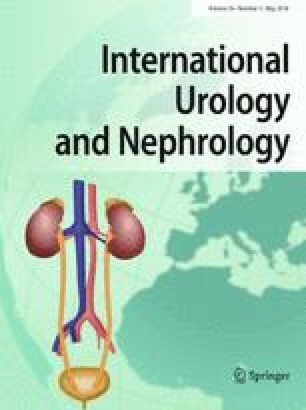 We agree with the authors that ensuring the balloon is pushed into the bladder is helpful in avoiding prolonged pressure buildup in the urethra. We do generally ensure that this is the case, but did not explicitly include this information in our description and thank the writers for their astute observation. Our focus in sharing our technique was not on timing, and we mentioned this only as a side note. The data we presented were based on our patients and our surgeon, and using this we developed an algorithm, which we think can be applied widely. We ourselves agree with the writer and acknowledge in our article that the time of catheterization in our series was excessive and have subsequently shortened our time to pcRUG considerably. We appreciate that the writer has taken the time to read and critically analyze our experience and believe that his or her suggestions and feedback should be incorporated into clinical decision making for anyone performing urethral reconstruction.